Andrew Wiggins wants to be paid what he’s worth in his next contract. And what he’s worth, according to him, is a max deal. Wiggins, who averaged a career-high 23.6 PPG, 4 RPG and 2.3 APG last season, is eligible for a rookie extension prior to the Oct. 16 deadline. Talks are ongoing between the Timberwolves and Wiggins’ representatives for the extension, which would kick in for the 2018-19 season. At the moment, this just isn’t true. Wiggins is only 22, has averaged over 20 points per game twice in three years and looks like he’ll be an average to above-average three-point shooter. His efficiency should improve if he’s allowed to play alongside Jimmy Butler and Karl-Anthony Towns, as should his playmaking; he’s upped his assist percentage in each of hi first three seasons, but it needs to be higher. None of which makes him a max player right now. This investment—a potential $148 million gamble the Minnesota Timberwolves seem semi-prepared to make—would be about banking on him to improve, not just his efficiency and his passing, but his defense, which has been mostly awful to this point. 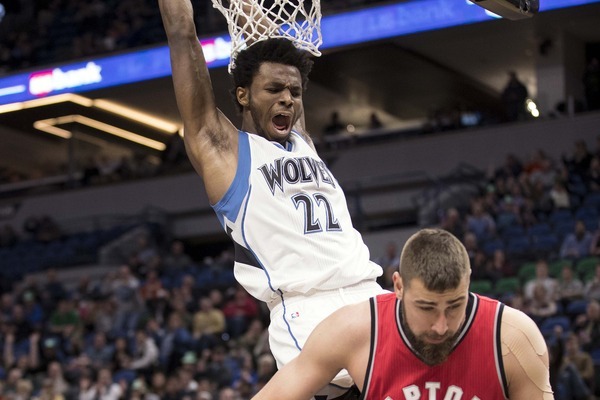 Wiggins has all the physical tools to be a plus stopper, and yet he falls woefully short in the awareness category—something, of course, the Timberwolves can simply count on changing in time, under head coach Tom Thibodeau. It won’t be a surprise if and when Wiggins gets a max deal. These types of dice rolls are made on young extension-eligible players all the time. The market correction from the 2016 spending craze could theoretically drive down his price tag, but there’s usually a defined market for potential All-Star talents. As for when the Timberwolves and Wiggins will reach an agreement, we don’t know. The Kyrie Irving trade rumors throw a wrinkle in these proceedings. Wiggins becomes virtually impossible to deal over the next year if he signs an extension, so there’s a good chance Minnesota waits out the Cleveland Cavaliers’ decision-making process before delivering a decision of its own.